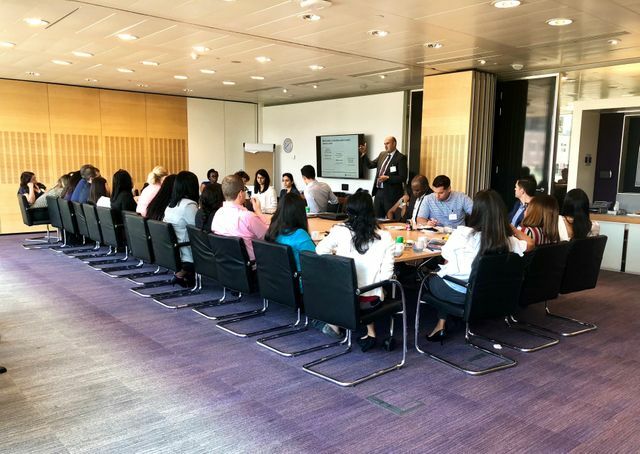 Last Friday we had the pleasure of hosting 27 MBA students from Florida International University for a roundtable discussion focused on the healthcare industry. Our presentation on healthcare trends and developments in the UK sparked a dynamic discussion which covered comparisons between the UK and US healthcare systems, the growing numbers of investors and why property is such a significant aspect of the healthcare industry. Our discussion focussed on elderly care, mental health and universal healthcare, culminating in a debate on the success of the NHS which was timely in the wake of its 70th anniversary last month since being established. With challenges facing both systems at a time of funding cuts and political uncertainty, we considered the morality of providing healthcare. It is undoubtedly a basic human right which should be afforded to everyone and the nuances in the US system mean it is often inaccessible. Looking to our own system, the ageing population in the UK has resulted in pressures on the NHS by way of increasingly complex conditions, and funding this will be problematic as state funding fails to match costs. In light of this, we wonder what lessons the UK can learn from the US private healthcare model – for example, will insurance play a larger role in the provision of healthcare in the future? As the Autumn Budget approaches, we look forward to seeing how the government respond to these issues and where opportunities may lie for investors in this space.